Recent advances have enabled a plethora of 3d object reconstruction approaches using a single off-the-shelf RGB-D camera. Although these approaches are successful for a wide range of object classes, they are based on the assumption of objects with a wealth of stable, distinctive geometrical and/or textural features. However, a lot of objects (household, decorative, toys, mechanical parts, etc) are characterized by a simple, minimalistic shape and high symmetry (e.g. cylindrical or spherical objects) or even lack of texture. 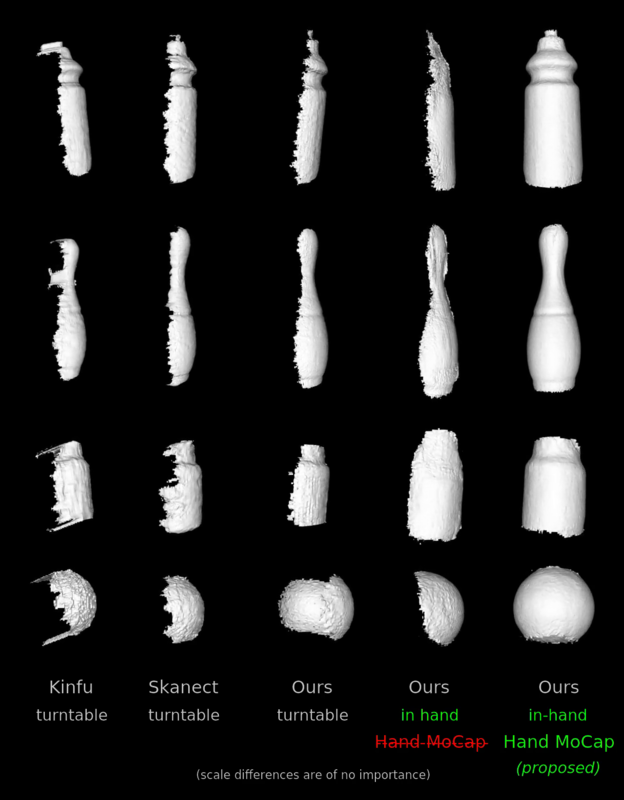 Existing in-hand scanning systems and 3d reconstruction techniques fail for such symmetric objects in the absence of highly distinctive features. In this work we show that 3d reconstruction based on low-level features can be facilitated by higher level ones. 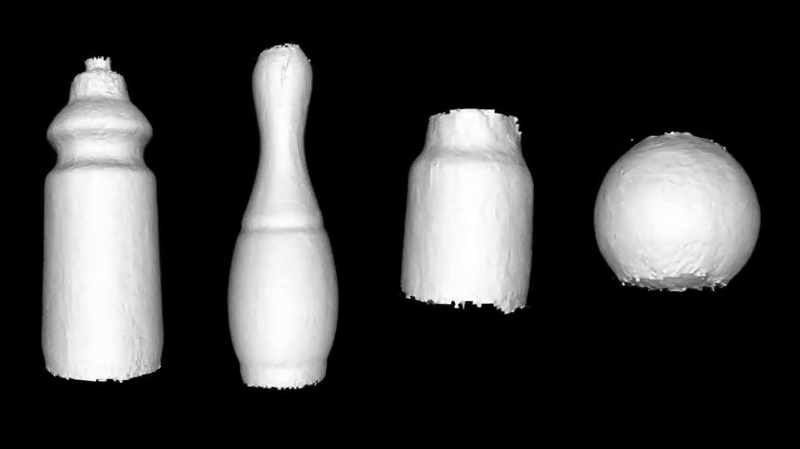 Although existing in-hand scanning systems simply ignore information originating from the hand, we show that 3D hand motion capture can provide strong and reliable features, effectively facilitating the reconstruction of even featureless, highly symmetrical objects. This work presents the first system that fuses the rich additional information of hands into a 3D reconstruction pipeline, significantly contributing to the state-of-the-art of in-hand scanning. Tzionas, D., and Gall, J. If you find the material in this website useful for your academic work, please cite this work.